The position size calculator is an absolute time saver and a must-have resource for all swing and position traders. The goal is to leave you with a meaningful yet responsible amount of exposure in your trades so that you can sleep easy at night. This isn’t your basic (stop – entry) = position size calculator. 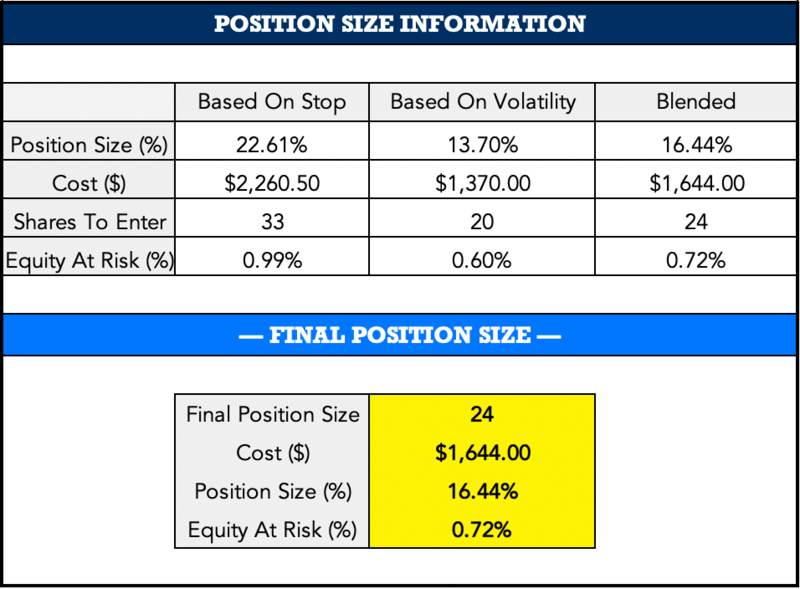 The Trade Risk’s position size calculator is a bit more advanced and is designed specifically for swing and position traders. The calculator uses multiple risk management constraints such as the volatility of the underlying instrument, fixed fractional position sizing, instrument type, and more, to arrive at the optimal position size tailored to your specific risk tolerance and account size. Whether or not you want to volatility adjust. Next, enter your trades anticipated entry price and stop loss level. That’s it, the calculator will do the rest. Based on what you’ve input above the calculator will blend together the multiple risk constraints and output the total number of shares you can purchase based on your account size. Purchase includes the calculator in Microsoft Excel and Google Sheets. Receive all future versions/updates for free. The calculator also outputs projected profit targets based on R-Multiples. Includes video set up instructions and general examples/overview. The Position Size Calculator is included free with our premium swing trade alert memberships. The leadership watchlist is a weekly curated list of top-performing stock market leaders. 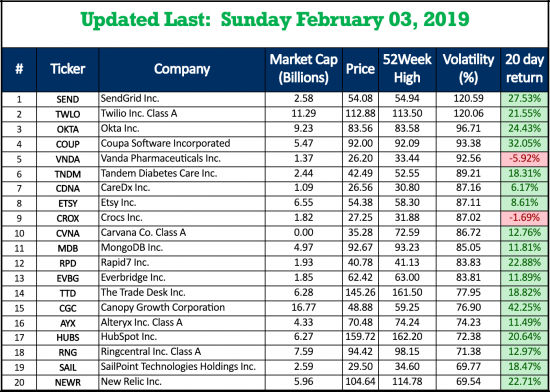 Stocks make this list by passing a strict set of technical criteria focusing on top relative strength, trend, and above average sales or EPS growth. Learn more.